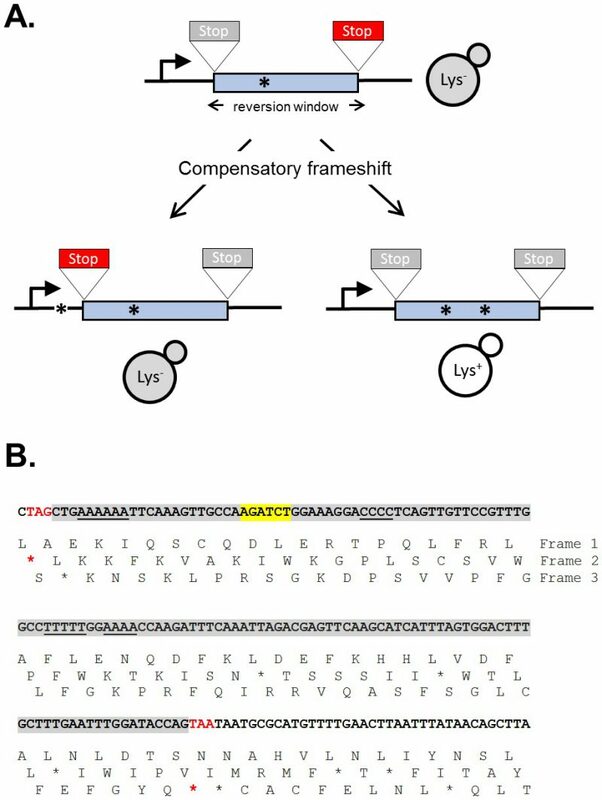 FIGURE 1: LYS2-based frameshift reversion assays. (A) Cartoon illustrating how stop codons in alternative reading frames define a reversion window (blue). The horizontal arrow indicates the direction of transcription and asterisks correspond to frameshift mutations. A stop codon encountered during translation is red; a gray stop codon is in a different reading frame and does not affect translation. (B) Sequence of the region of the LYS2 ORF that contains the lys2ΔBgl reversion window (gray), which is delimited by the boxed stop codons. Mononucleotide runs >3N are underlined and the BglII site is highlighted yellow.